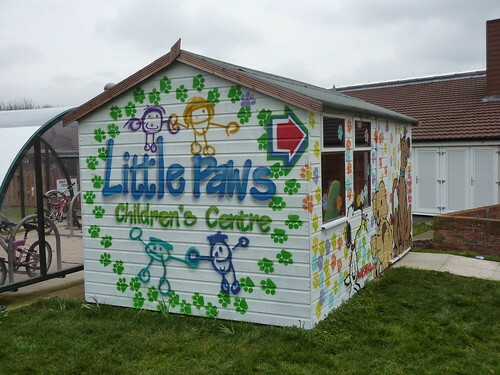 The Little Paws shed was decorated with lots of multi coloured paw prints which were applied by all the children from the nursery with the help of their parents. 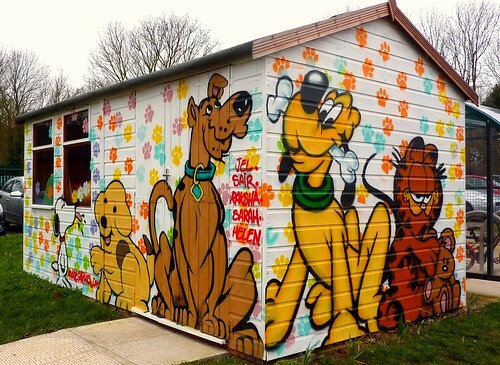 Arkade Graphics then painted animal cartoon characters around the sides of the shed and the Nursery’s logo on the front. 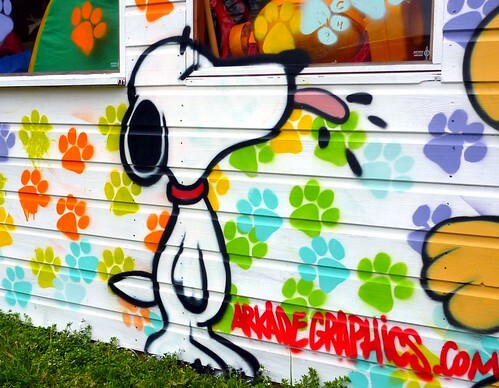 This entry was posted in Commissions, Workshops and tagged Animal cartoon characters, little paws nursery, simpson graffiti, Tinkers Bridge Graffiti. Bookmark the permalink.